Our water-thin urethane casting resins mix and pour easily, resulting in perfectly formed, bubble-free castings. Just mix equal volumes of A and B together; the resin is odorless, gives excellent reproduction quality, and can be painted, sanded, sawn, tapped, milled, filed and drilled easily. Cures to white color. Compatible with all mold materials, including latex, clay and RTV silicone. Also acts as a super-strong glue for bonding metal, softwood and plastic. Resists fuels, acids and most chemicals when cured, is not tacky, and has no oily coating after curing like other casting resins. Includes 16 fl. oz. each of parts A and B in dispenser bottles and complete instructions. 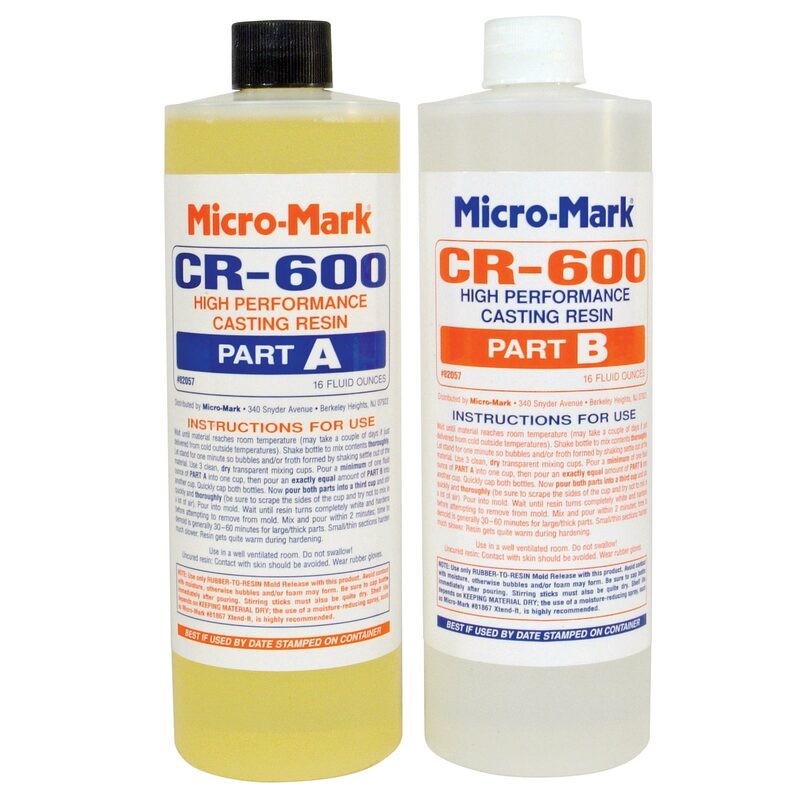 CR-600 High Performance Casting Resin 7 minute pot life (provides more time for mixing and pouring); demold in 30 minutes. 2.4 lb. kit contains approx. 32 fl. oz. total material.